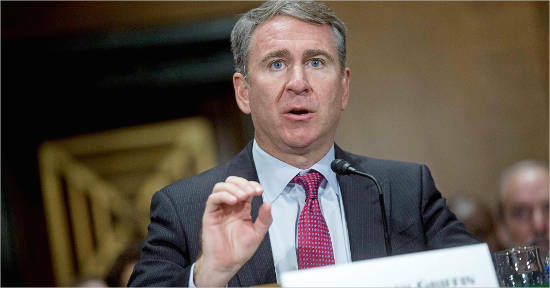 Kenneth C. Griffin was born on October 15, 1968, is a man of passion and money, tilting more towards the latter. It isn’t astonishing for a man who not only has worked with all heart on something he adores but given up everything. Speaking of money, Mr Griffin is made of a whole lot of 7.7 billion dollars according to Forbes. Ken is famous for his extravagant and luxurious life. 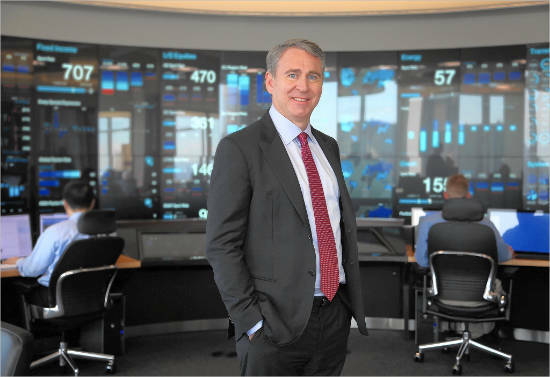 Ken earned his money through a hedge fund investor company he started, Citadel in 1990. 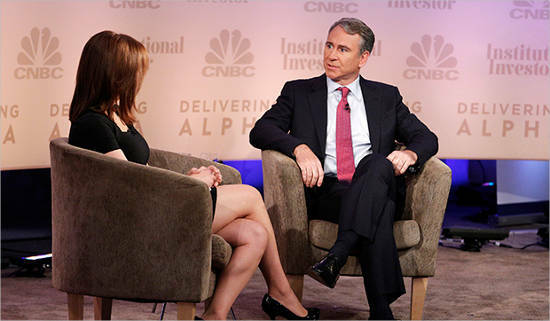 Ex-Spouse- Anne Dias Griffin, the ex-wife of Ken Griffin is herself a money manager and co-founder of Aragorn Global Management, a hedge fund focused on equities. She was born in France in 1970. The seemingly perfect couple announced their divorce in 2014 over irreconcilable differences. This led to an ugly divorce which formed the feed for the major newspapers. They finally reached a settlement in 2015 and ended an 11-year-old marriage which bore 3 children. Ken was born in sunny Florida, the USA in 1968. As a student Ken was extremely smart and geeky, he was the head of the school’s math club. 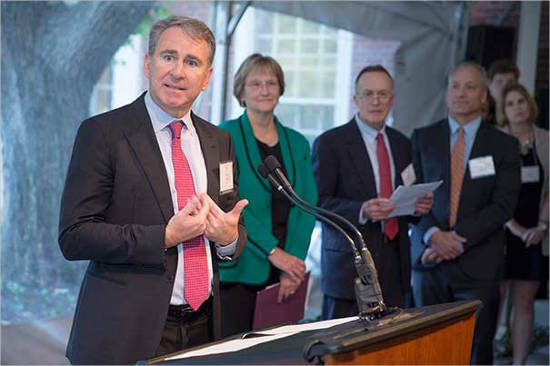 Ken’s career in investment began in 1986, in his first year at Harvard University. In college itself, Griffin started a hedge fund from his college dorm by pure ingenuity by acquiring a satellite link to access real-time market data. By the end of college, he was already managing two funds worth more than 1 million. These were early signs of him being a worldly prodigy. His real success story began with Citadel in 1990 when he began the company with 4.6 million dollar investment. The company was swift and merciless and by the end 1998 it became one of the biggest hedge funds in the US market with a capital of more than 1 billion US dollars. He made his first entry in Forbes 400 in 2003 and was the youngest in the list at the young age of 34. He has only made newer and far more impressive records after that. The self-made billionaire strongly believes in two corporate concepts, first, one being that the greatest investment can only be employees and secondly that shareholders should have a greater role in the management of the company and that there should be, metaphorically an open board room. Ken is what can only be termed as a ‘giver’. He is one of those people who actually care about society and he regularly donates huge amounts of charity to various organisations. In 2003 the philanthropist Ken contributed to the Robin Hood foundation. He also loves art and is one of the most vehement purchasers of fine art priced way to high for nincompoops such as ourselves, in 2007 he donated 19 million dollars to the art institute of Chicago. Appreciating his past he donated 50 million dollars to his alma mater Harvard University. Ken himself has one of the most exquisite and expensive collections in the world. His collection contains paintings of Paul Cezanne such as Curtain, Jug And Fruit Bowl. He also has artist Jasper Johns, False Start and Wilhem De Kooning’s, Interchange which he purchased for a whopping 300 million dollars, his largest purchase yet. Ken is one of those great souls who are humble and care about giving back yet are delicate enough to carry out their gold smeared passions. He has not only managed to balance between the two but also has acquired great respect among his juniors, equals and the few seniors he does have. He has taught us that being humble is only the quality of the greatest and that success can come only through hard work and pure lustful passion. The most important precedent he has set for us is, without doubt, the importance of giving back.